In 2012, I decided to recreate (out at the farm) a vision I’d seen in a French magazine. 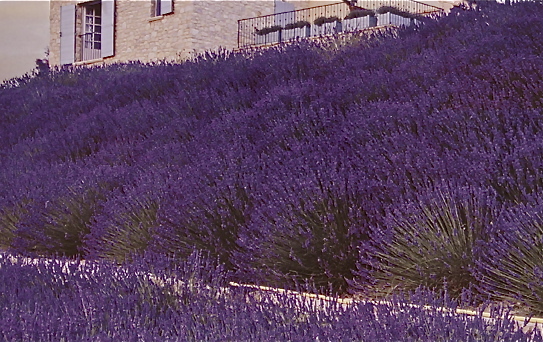 It was a sunny slope, entirely planted in Lavender. I chose the variety called ‘Hidcote Superior’ because it has done very well for me elsewhere on our farm property. It is a showier dark blue than most other varieties. It clips well and blooms for two months or more. 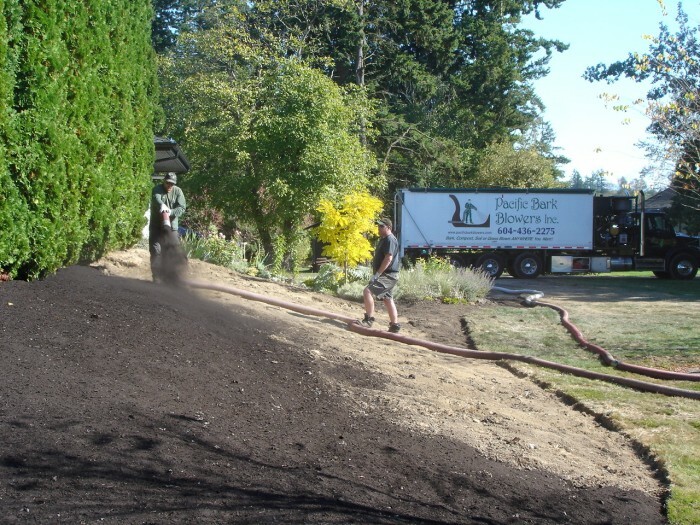 I hired a ‘soil blowing’ company to place 60 yards of topsoil in the area where the old sod had been removed. This took a couple hours to do, and saved a few people’s backs from a severe workout ! 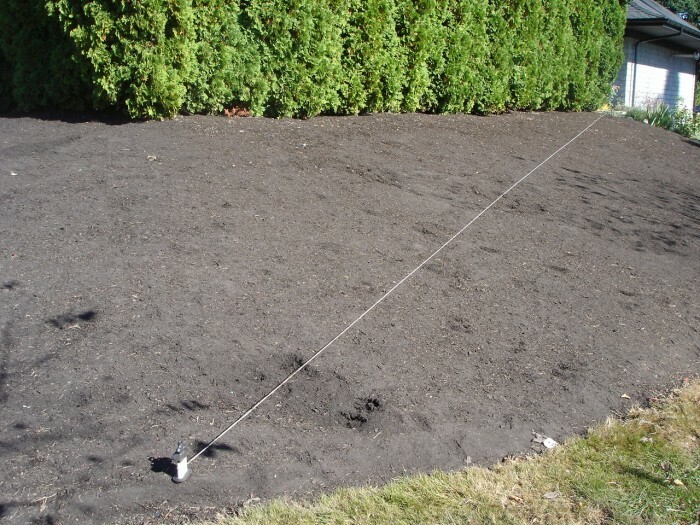 The soil is delivered under strong pressure and can be directed anywhere. I wanted it about 8″deep. I thought planting on an angle would look more interesting than just straight across. This string gizmo was very handy! 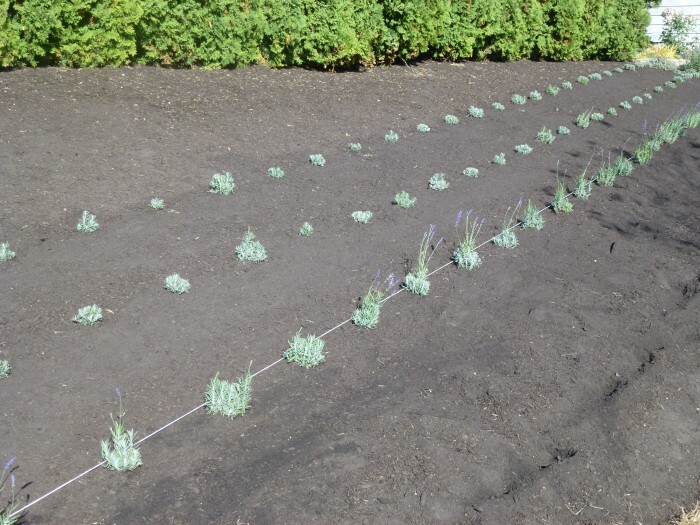 4″ pots were planted 16″apart. 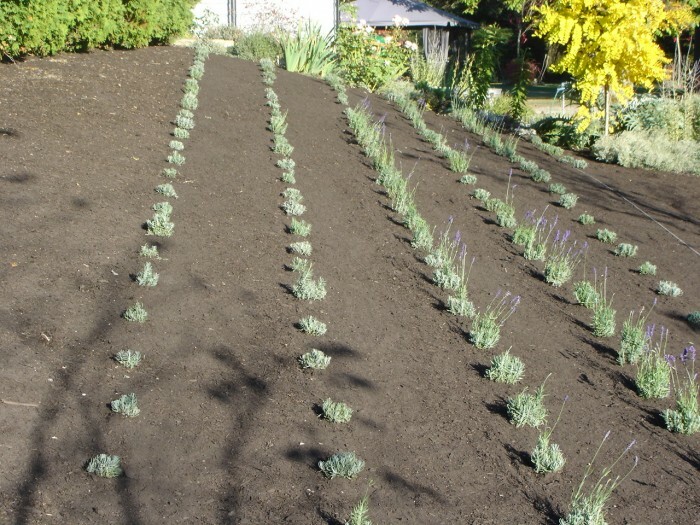 They were planted with their shoulders buried slightly with soil, to make sure they didn’t blow away! 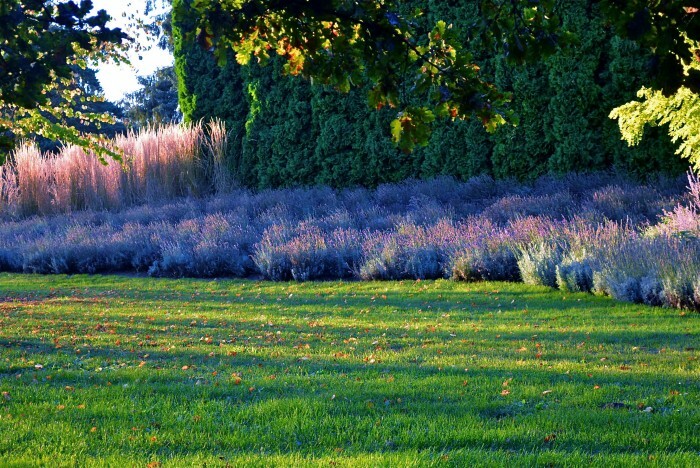 The tall grass is Calamagrostis ‘Karl Foerster’. 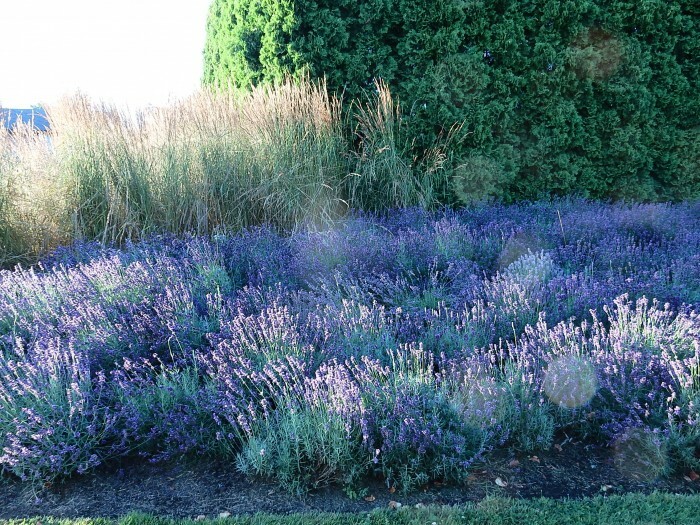 I thought it would make a good backdrop for the lavender, and a segue into the lawn area. 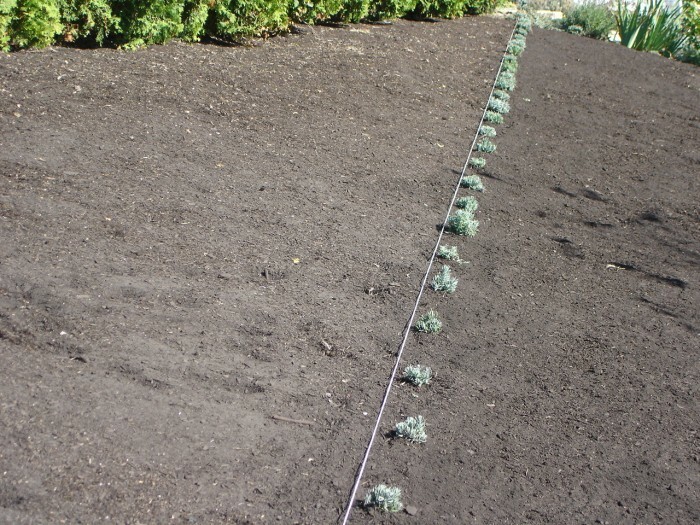 It is totally drought tolerant and carefree.